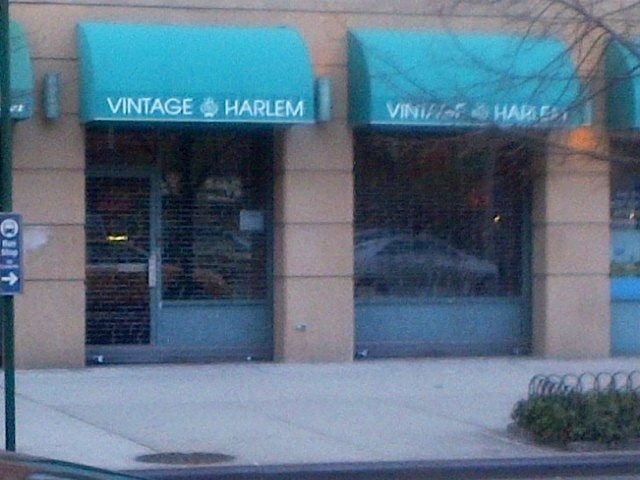 Harlem Vintage becomes Vintage Harlem? | HarlemGal Inc. This entry was posted in business, commercial real estate, drinks, Frederick Douglass Blvd., Harlem, Harlem blogs, Harlem businesses, Harlem Restaurant Row, shopping and tagged Harlem, Harlem Vintage, Harlem Vintage Wine Store, Vintage Harlem, wine stores in Harlem. Bookmark the permalink. That’s great news. Do you know when we can expect to start enjoying Vineteria? Or whether the burger place long advertised as about to open on FDB is really going to happen? Thanks! @lori. Thanks for stopping by. Vinateria should be opening soon. As soon as I have a date, I will pass along. As for hamburger joint on FDB, that’s completely stalled as far as I know. Hi HarlemGal – I was walking by Vinateria over the weekend and met someone there. They said they were scheduled to open tonight (monday) at 7.